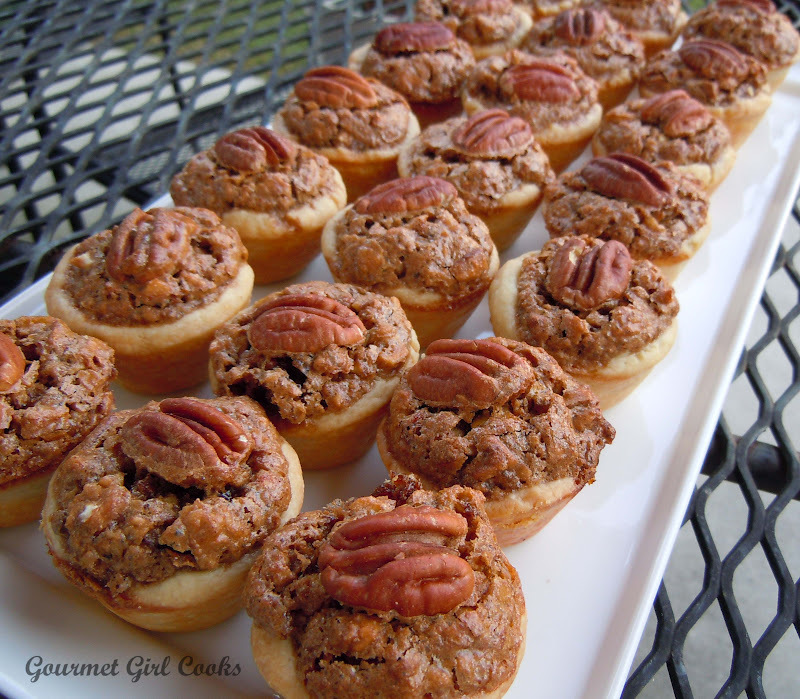 One of hubby's favorite desserts is pecan pie...so instead of making a big pie I decided to make cute little 2-bite sized pecan tassies. I have made pecan tassies for over 25 years now but I usually only make them at Christmas time since there are so many other cookies and treats that time of year. 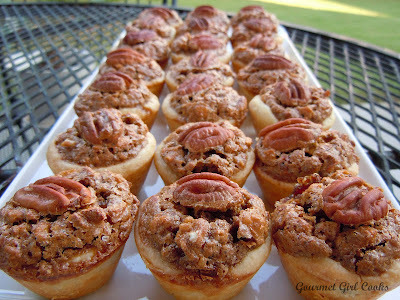 They are delicious and not as sweet as pecan pie since they don't have any corn syrup. 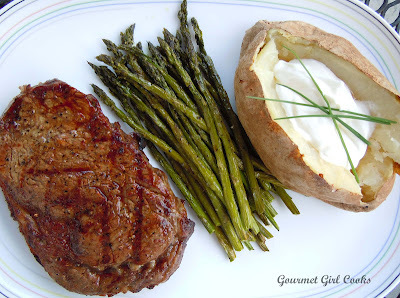 Check out my recipe below as well as some pictures of our dinner and our dessert. Enjoy! Beat softened cream cheese and butter in a medium bowl with electric mixer on medium speed until well blended. Add flour; mix well. 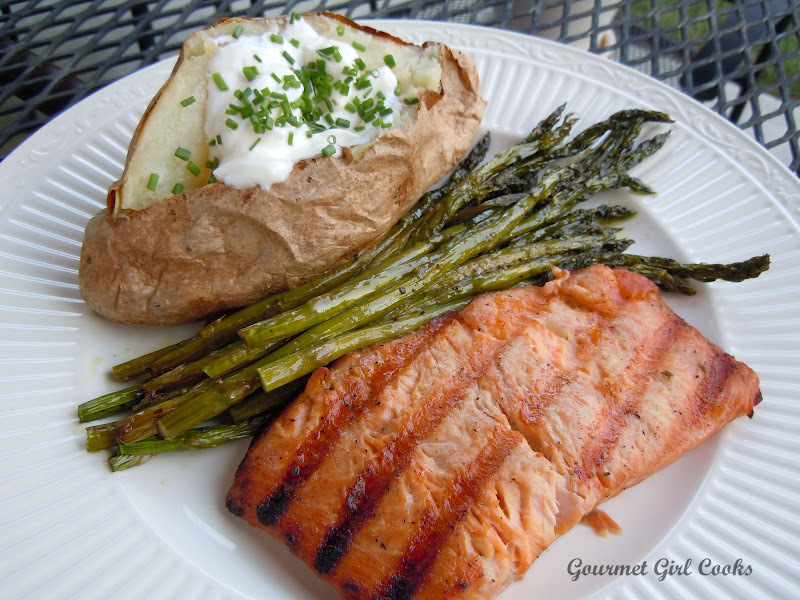 Cover and refrigerate at least 1 hour or until chilled. Divide dough evenly into 24 balls. Place one ball in each of the 24 miniature muffin pan cups; press onto bottoms and up sides of cups to form shells. Set aside. Beat egg lightly in small bowl. Add sugar, vanilla and maple syrup; mix well. Stir in chopped pecans. Spoon evenly into pastry shells, filling each shell about three-fourths full. Top each pecan tassie with a pecan half. Bake in a preheated 350 degree oven for 25 min. or until lightly browned (mine were ready in 23 minutes). Let stand 5 minutes in the pans; carefully remove to wire racks to cool. Could you please revise this so that it would work on Wheat Belly? Thanks!! Hmmm. 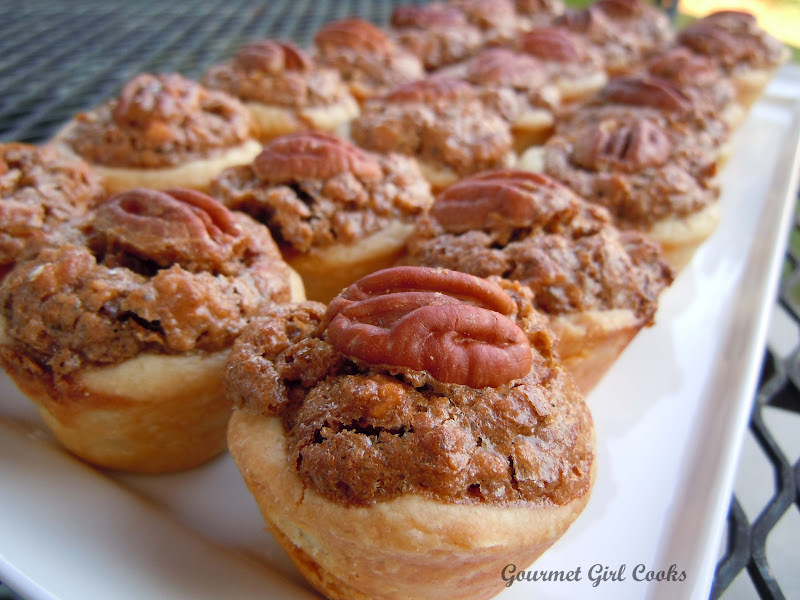 For a low carb version, you could use the crust from your Chocolate-Cranberry Pecan Tartlets, use 3/4 cup of the granulated sweetener of your choice with a teaspoon of molassas, and to substitute for the maple syrup, a couple of drops of maple flavoring. Not sure what to do to replace the liquid from the maple syrup...Maybe 1/4 c. DaVinci syrup like Caramel or Vanilla flavor. Dear GG...please make these tassies into a wheatbelly version. Pecan pie is my favorite...have tried a recipe from another site and it was baaaad. The crust just crumbled and the innards was completely dry. Of course, this was before I started just following your recipes...remember, I am the one that says "if you don't make it, we don't eat it".